The structure of the picture is an important element to create an interesting work of artistic highs. The artist plans to position the elements in the art to convey ideas and feelings with the audience. The structure can determine the center of art and result in a harmonious totality which appeals and stimulates aesthetically. PERSONAL First meeting/ Engagement/ Wedding Birthday/ Anniversaries New baby/ House/ Job/ Establishment Passing Exam/ Promotion/ Achievements Welcome/ Farewell/ Retirement Sickness Recovery/ Sympathy/ Apology Corporate Gifting/Return Gift Chief Guest Honour Gift Just thinking of you. 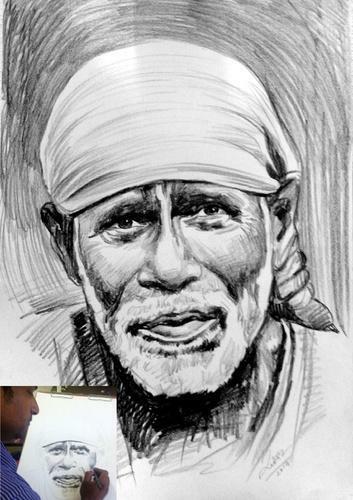 It is simply WOW…i was afraid in the beginning about the finishing and originality but he is AN PURE ARTIST with Excellent Skills….He made the sketch LIVELY. Lov it ! We Always Draw Sketch , draw with the eyes, when one cannot draw with a pencil.. Many years of consistent studying and practicing a lot of painting portraits & sketches made me a skilled artist. Welcome Dear Visitor, your presence shows that you are an art lover and a person who encourages art. 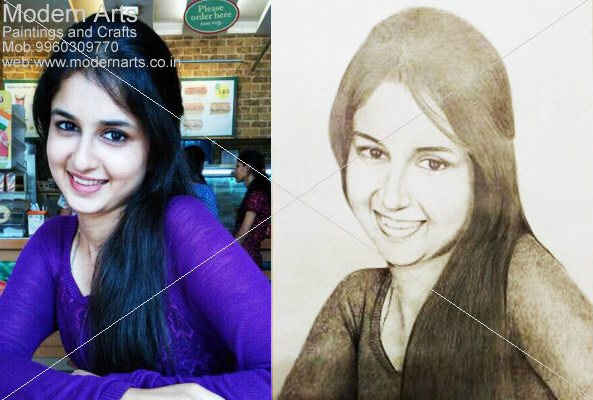 You are here on my website of Portraits & Sketch. If you are looking professional artist with endless possibilities, you come in right place. 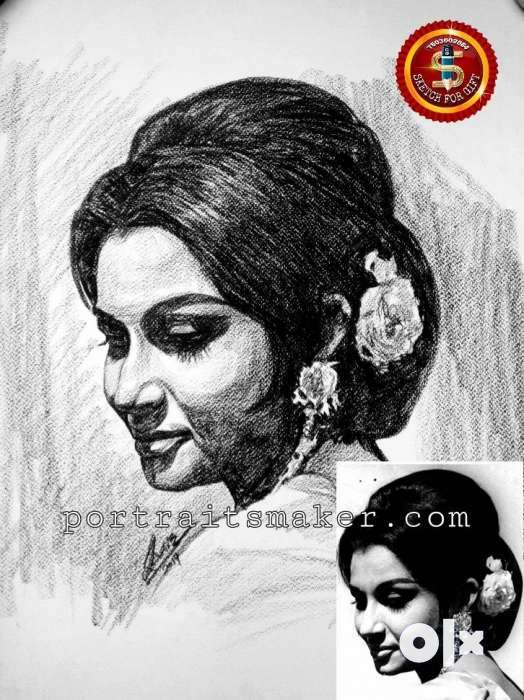 I am specialized in various techniques of art like Drawing Charcoal Portraits, Dry-brush Portraits, Oil Color Portraits and making of course Water Color Paintings. Realistic Drybrush Portraits is provides a modern style of painting in which oil paint, bristle and synthetic brushes are used on watercolor paper or fabric. Professional Commision Portrait with a fresh new take on your special moment! We are one of the leading providers of a wide range of Acrylic Painting. These paintings are available in various abstract designs to suit the ambiance of our clients’ sites. Hello friends, my name is Rajesh Kumar. I am 44 years in age, I am an Indian and am born in Delhi, India. 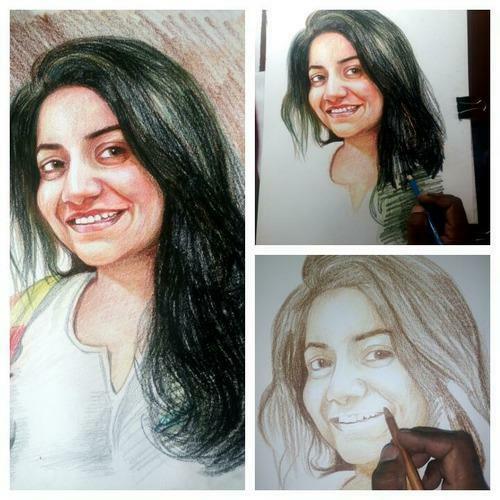 More than a profession SKETCHING, PAINTING and POTRAIT are my passion. I started SKETCHING and PAINTING by the age of 10. I did my Bachelors of FINE Arts from Chandigarh, India. 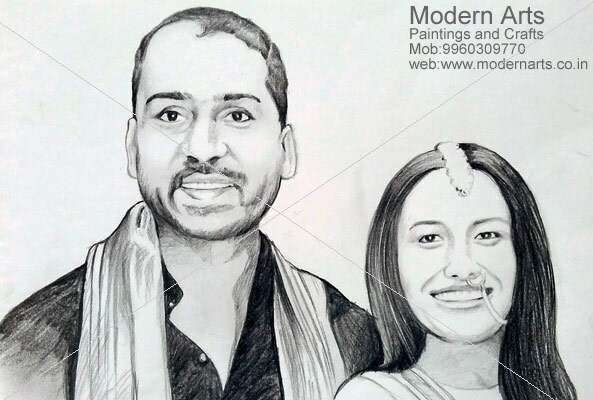 Friends I have painted and sketched in almost all mediums, some of my expetise include pencil sketch, charcoal pencil sketch, oil colour potrait moreover I have live sketched in various locations in Delhi such as Malls, Exibitions, Birthday parties and on special occasions. I work upon an art till the time i do not achieve satisfaction no matter how much i spent to complete.I like making Realistic Sketch, Portrait. Friends I believe in practicing and working more instead of doing long talks. And I try my level best to be stable on my ethics. I’m based in Delhi (India), but is also available for travel world-wide. Soft Pastel colored is a method in which the paints are made of pigments suspended in a water-based solution. 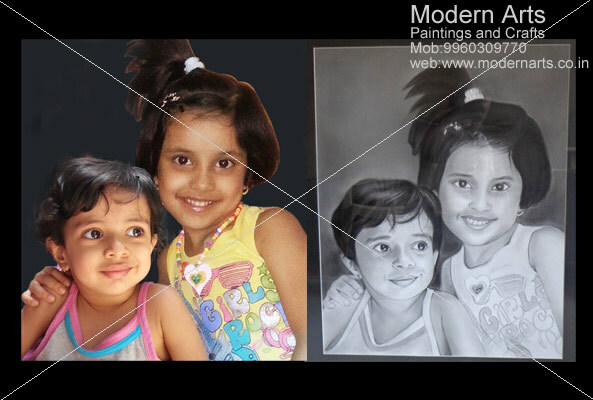 Soft Pastel colored refers to both the medium and the resulting artwork ..
N Sinha Art Studio provide Oil painting this is the process of painting with pigments with a medium of drying oil as the binder. It’s one of the best photo artists in DELHI NCR.Completly satisfied with the work. A must try for everyone and you will not go elsewhere. 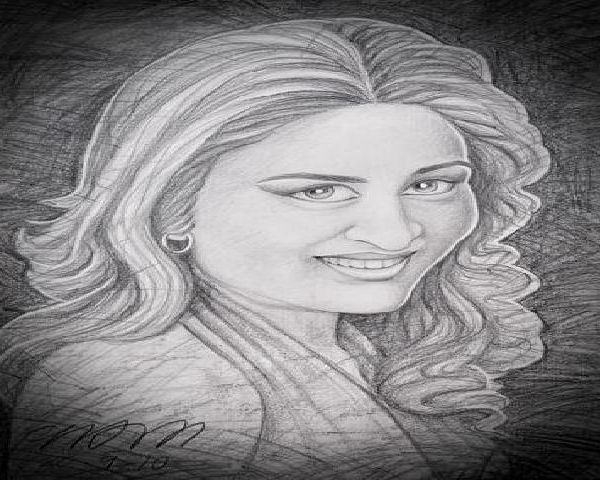 AJIT KUMAR Freelance Professional Portrait & Sketch Artist. 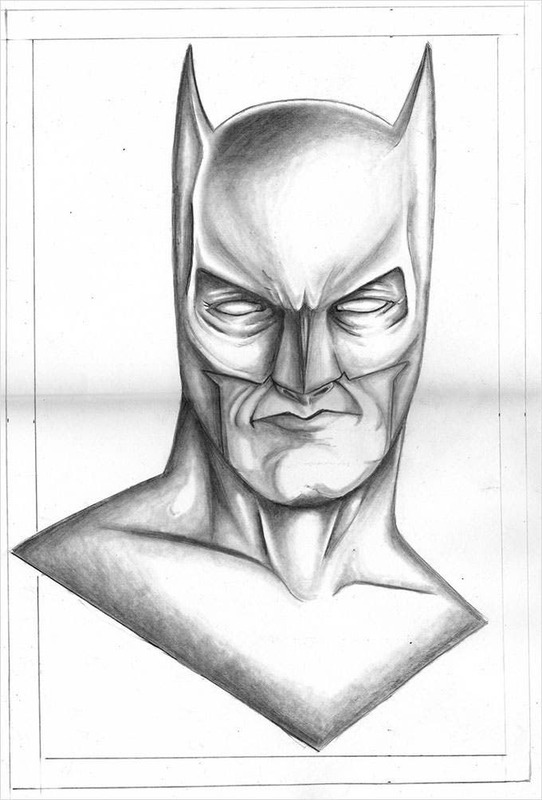 Charcoal & Pencil work,It is advisable to draw very lightly in the early stages of a charcoal drawing. This is the time you make the most changes to the image.. The theme’s decoration is also an important element in creating an artistic work, and the interplay of light and shadow is a valuable way in the artist’s pit. The location of light sources can make a great difference in the nature of the message being presented. For example, multi-light sources can eliminate wrinkles on a person’s face and provide a more youthful look. On the contrary, a single light source, such as light of the day, can work to expose any texture or interesting symptoms. Excellent work, I got a portrait made as a gift and everyone loved it. I will definitely work with Mr Rajesh again! 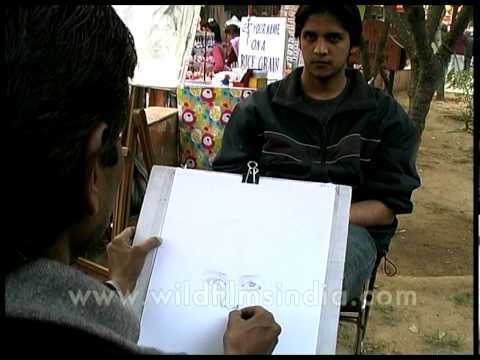 N Sinha Art Studio provides Live Sketching is a rapidly executed freehand drawing that is not usually intended as a finished work. 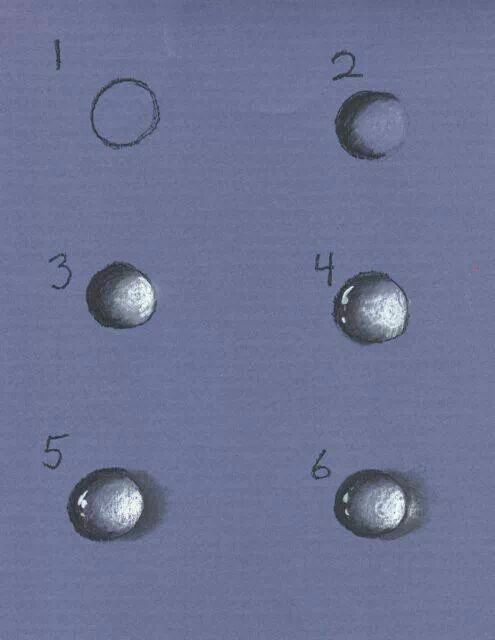 Drawing of the drawing is usually with the notation of lines on the paper and the area of ​​the tone. Traditional images were monochrome, or at least they had little color,  while the modern colored-pencil sketches could cross or cross the border of drawing and painting. In Western terminology, however, the sketch is different from the painting in spite of the fact that both mediums use the same mediums. Dry medium, which is usually associated with drawing, such as chalk, can be used in pastel painting. Drawing can be done through a liquid medium using a brush or pen. Similarly, both can be done in a similar manner: The painting usually involves the use of liquid color on the canvas or panels, but sometimes a underscoat is made on the same surface. Drawings are often exploratory, which have a lot of emphasis on observation, problem solving and structure. Drawing is used regularly in the preparation of a painting, which is later blurred. Amazing Experience. He is one of the best artist in town. Timely Delivery. Truly Creative. Friends I never tried to copy any other Artist. Whatever art I do today that is my own style. I have done Stage Design Work for IFFI 2006 Goa. 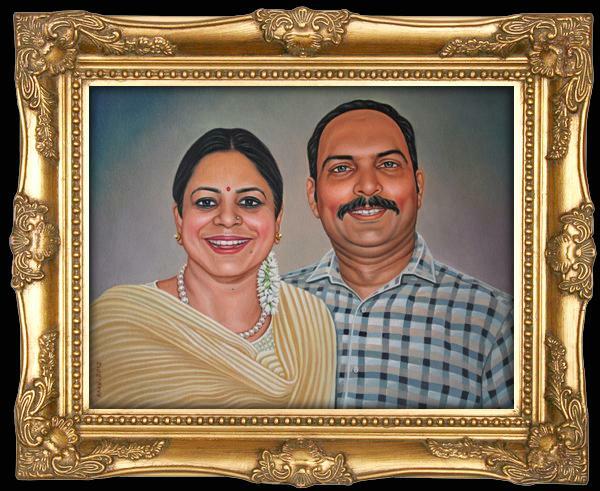 Dear friends, you can gift Portrait or Painting to your Mother, Father, Friends, Relatives, Fiancee, Wife and Children as a present. This is a really very amazing present. 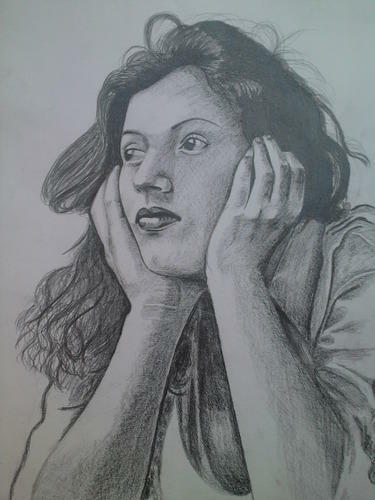 If you want me to make Pencil Portrait or Painting then you can contact me. My contact details are, Whatsapp- 7503602684 or you can send me email. 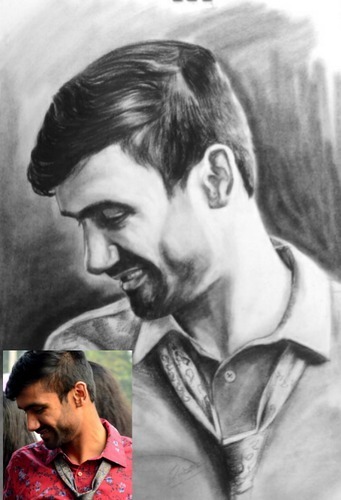 In future if you want to search me on Google, then you can search for this keyword- SKETCH ARTIST IN DELHI, PORTRAIT ARTIST IN DELHI. I am graduate in Bachelor of Fine Arts (BFA) from Prachin Kala Kendra (Chandigarh). 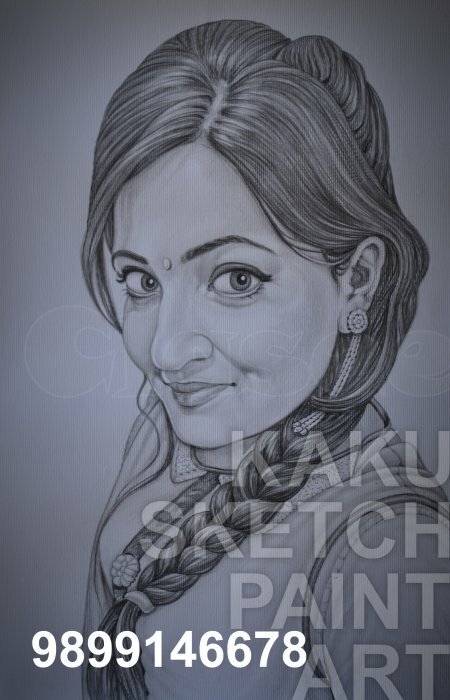 I have more than 6 years of experience in making portrait and sketches. 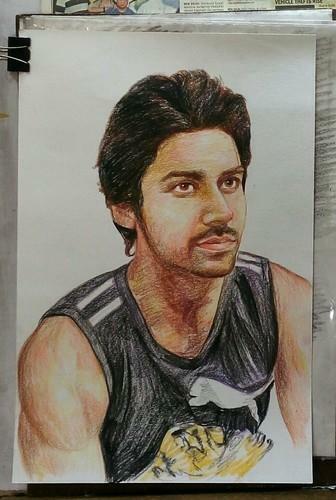 Portraits & Sketch Artist: Ajit Kumar, Fine Art Maker in Delhi NCR. When creating an object or shape, a skilled artist pays attention to both the area within the photo and which is outside. 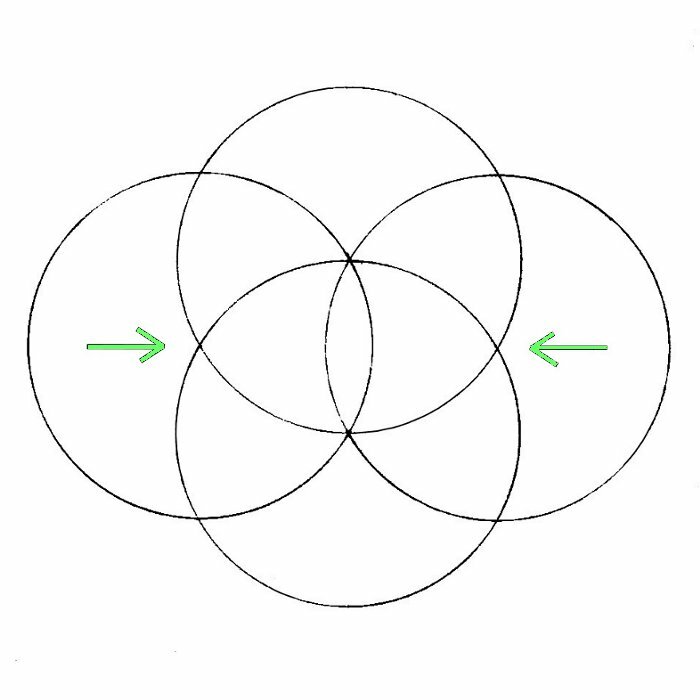 The outer area is called the negative location and in the presentation this can be equally important as the figure. The object kept in the background of the shape should look properly placed where it can be seen. A study is a draft drawing that is prepared for a planned final picture. The study can be used to determine the form of specific parts of the finished picture or to experiment with the best approach to complete the final goal. Although a well-prepared study can be a masterpiece of art and a complete study may take many hours of cautious action. Great Art work done by Rajesh. From last 7 years, whenever we need to get any sketch, we always call him.